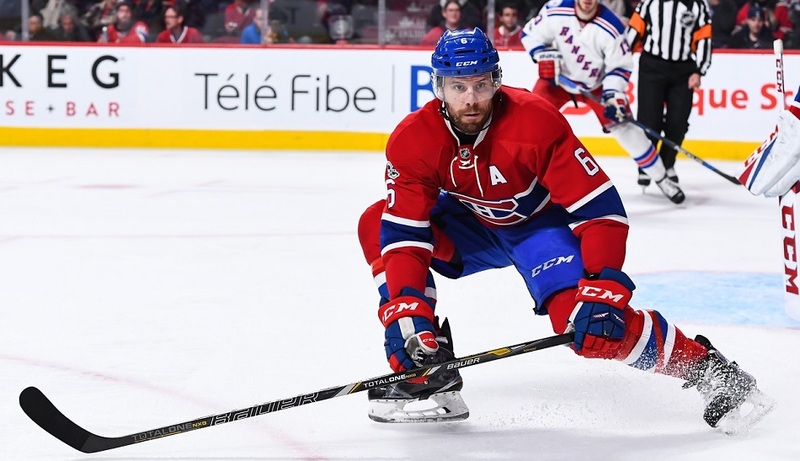 Shea Weber’s second season in Montreal was a rough one as injuries derailed him from the start. While he’ll miss the early part of 2018-19, he still projects to be a significant contributor when he returns. After logging more than 25 minutes a night while leading the team in points by a defenceman in 2016-17, Weber went into last year once expecting to be the workhorse. That wound up not lasting very long. He blocked a shot in the season opener against Buffalo and while he played through it for another 25 games, he was eventually shut down for what wound up being the remainder of the season. Despite the injury, he still was relatively productive, posting the fifth-best points per game average of his career while still playing north of 25 minutes a game. He also was tasked with helping Victor Mete get acclimated to the NHL and considering Mete fared pretty well, Weber deserves some credit. For the first couple of months, Weber will basically be a high-paid cheerleader. However, with all of the talk after the year about attitude, it wouldn’t be surprising if Weber is still around the team for the most part as he goes through his rehab process. When he comes back, it shouldn’t be long before he’s back in his familiar role. He’ll jump back onto the top pairing and move Jeff Petry back to the second pair. He will also be a big part of the power play although considering how much time he’ll have missed, it will be worth watching to see if he goes back to being Plan A, B, and C as he often was with the man advantage when the play seemed to be to go for the point shot on almost every occasion. They finished up last year with the play running more through the forwards and if that continues, Weber’s numbers could dip a little. There’s a good chance that Weber quickly jumps back onto the top penalty killing duo as well but if the team decides to ease him back in and try to cut down his minutes, this may be where they try to do it. (Noah Juulsen establishing himself as a reliable defensive defender would go a long way towards making this happen.) While that could result in a few less blocked shots, he’d also be fresher for five-on-five play which would be ideal. Knowing that he’s going to miss a couple of months in all likelihood, Weber’s numbers are going to be well below his usual output. That presents a bit of a fantasy conundrum. When healthy, he’s still one of the better blueliners out there, especially in leagues that go beyond points and count hits, blocks, and/or shots on goal as these are areas that he fills up the stat sheet. With that in mind, it’s tough to really push him too far down the draft board. He’s a top pairing fantasy defender in most leagues so someone is going to play the long game and still draft him earlier than you might expect. He’s not going to go in the top few rounds like he was guaranteed to not too long ago but he should be still snapped up by the middle. If he happens to get through unpicked in shallower leagues, he’s well worth the IR stash.